Seaweed is an algae that lives in marine water. Most algae living in freshwater are toxic and should not be eaten. 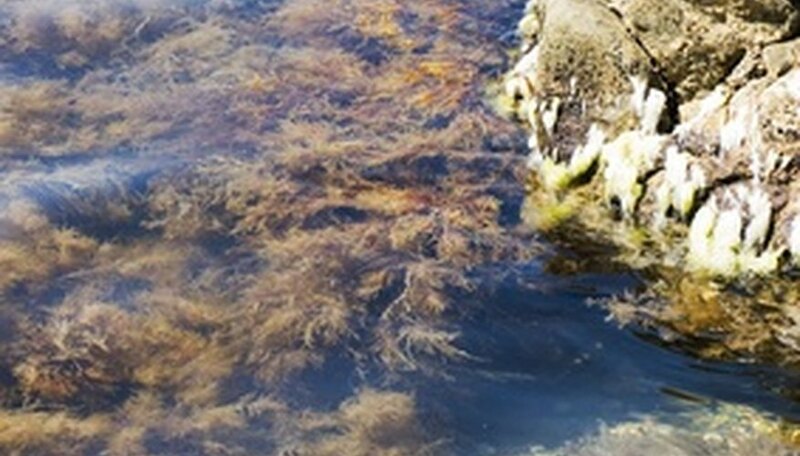 Marine seaweed is edible, but can cause an irritation to the digestive system of some people. There are different kinds of edible seaweed including blue algae, red algae and brown algae. They come in various kinds of textures including slimy and soft, and provide nutritional value. Check the shape of the seaweed. Hijiki is a twig-like seaweed. It is often used in salads and provides iron, fiber and calcium. It is a brown algae that is best given to pregnant women and children. Spirulina is a perfectly spiraled, coil-shaped seaweed. It is a blue algae and gives the human body amino acids and protein when eaten. Feel the texture. Kombu is leathery but rich in protein. Kombu seaweed also helps control blood pressure and lower cholesterol. Wakame seaweed is slimy when it is wet. Wakame cleans the blood and is rich in protein, calcium, iodine, fiber, and magnesium. Arame is a soft-textured seaweed that provides calcium, iodine and phosporus. Arame seaweed is also used in casseroles and soups. Examine the seaweed's coloring. They come in few colors, such as green, red, and brown. Carragahus (also known as Irish moss) is red and considered a red algae. Agar agar is a green, slender edible seaweed. Spirulina is bluish green, while Hijiki, kombu and arame are all brown edible seaweed. Most edible seaweeds are dried and cooked or steamed before being eaten.